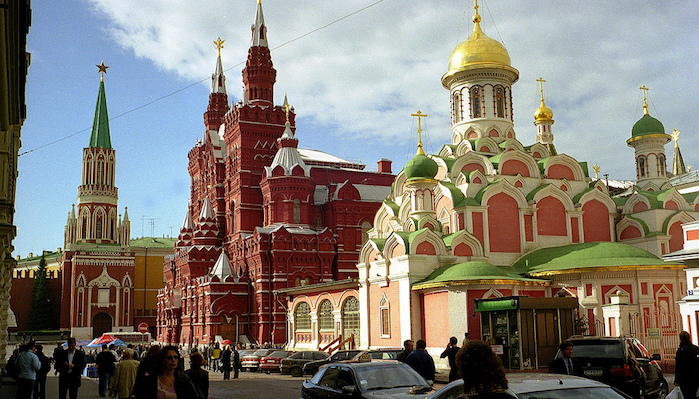 Moscow is not only the capital city of Russia, it is the heart of the country’s political, economic, and cultural life. Perched on the banks of the Moscow River, the city of 15+ million is known for its rich architecture — from the colorful domes of St. Basil’s Cathedral to the Federation Tower, the largest skyscraper in Europe, reflecting a mix of Moscow’s colorful history. Our guide to running in Moscow reflects the grand scale of the city’s layout, which features a series of ‘ring roads’ and a ‘ring’ subway, radiating from the Kremlin. Running in Moscow has its contrasts: it is one of the greenest cities in Europe, with many parks, but can also be a challenge due to the air pollution, traffic, busy streets lacking a shoulder, and tough surfaces in winter. But there are actually some wonderful running spots. The most popular is Gorky Park and the adjoining Moscow River embankment paths. We’ve also designed two ‘runseeing’ tours: one highlighting the Red Square area, and the other a lovely 10k through a series of linear parks along the inner ring road, passing many important Moscow sites. In the more modern Presnensky business district, there’s some nice running on river paths and some linear parks. 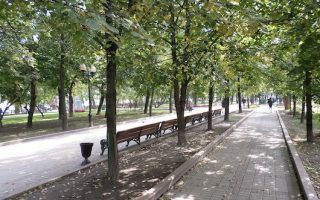 For some real green space, there are some great parks for running: extensive Solniki and Pokrovskoye Streshnevo parks; Filevsky and Suvorov parks in western Moscow; and Severnoye Tushino, Riverport, and Druzhby parks in the northwestern part of the city. Public transport in Moscow is excellent, with an extensive metro, bus, and light rail system. One other note about running in Moscow: the city is famous for its harsh, snowy winters. This can make running beautiful or unpleasant and challenging, depending on conditions and your perspective! A 4.8 km (3 mile) loop around some of Moscow’s top sites, from the Alexander Gardens, to Red Square and the Kremlin, to Christ the Church Cathedral and back to Red Square. 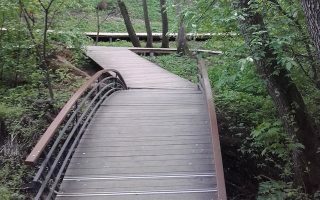 The ~1 km of trails in the spectacular new Zaradye Park is a great add-on. 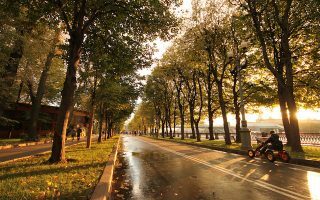 Probably the most popular area for running in Moscow, Gorky Park is a wide open space which connects to the scenic Moskva River Embankments. We've put together a River Embankment route, but it's also possible to enjoy 2-3 km around the park's paths. A wonderful 10.5 km 'runseeing' tour of Moscow, following a series of linear parks paralleling the inner ring road around the city core. Many important buildings, sites, monuments, museums. A 3 km linear park at the northern end is a nice add-on. Good running in the Presnensky, Moscow's business district. 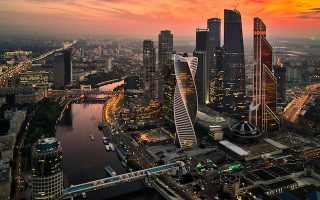 A 7.5 km loop along the river and some green spaces, with views of some of Moscow’s coolest modern buildings, including the Imperial Tower and the World Trade/business district. One of the largest green spaces in Moscow, with long straight, tree-lined paved paths radiating out from the park's center. You can trace a “fan” on these paths, or enjoy other alleys and paths crisscrossing the park. Can easily put together 10 km or more. Web of trails to the northwest of downtown provides endless combinations for a running ramble around the Moscow Canal & surrounding lakes. A gentler 4.4 loop around the lakes and Administration area, or more rugged options for trail runners. These two neighboring parks in the western part of Moscow are great for running. One can easily put together a ~10 km run, combining 3 km along the river with the interior paths. Combination of paved and gravel. Popular park with runners in the Severnoye Tushino district. 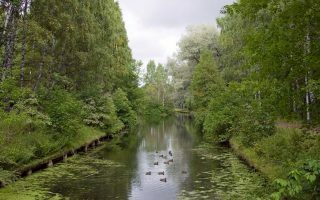 The park is long and narrow, paths along the Moscow Canal and the that are a combination of wooded and open. Park loop is 6.2 km, add-on of 3.3 km in linear park west of the Museum. 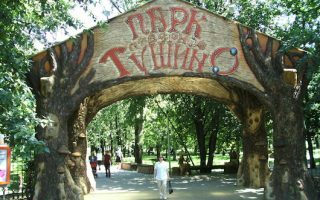 Two neighboring parks that are good for running in the Levoberezhny District. 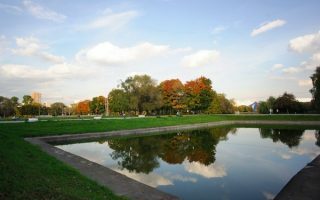 Riverport Park runs along the Moscow canal, but most of the 3 km of paths are interior. 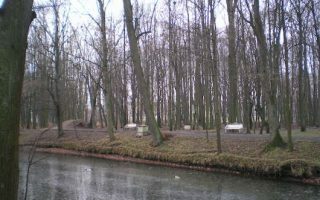 Druzhby Park has paths around ponds and features statues and sculptures. A loop around both parks is 5.8 km. 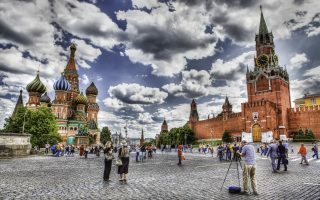 Moscow has a continental climate, famous for having some of the coldest, snowiest winters among the world’s major cities. Winters are indeed harsh, so bring layers and Yaktrax to enjoy running in a city where average January high temperatures are -7C (19F), and lows are -14C (10F). Snow on the ground is common from November to March, averaging some 80 inches annually. Lovers of winter running will enjoy Moscow! By contrast, summers are pleasantly warm, with high temperatures of 24C (75F) and coolish nights that might require a layer. Autumn is beautiful and short, with great colors. Precipitation is fairly evenly spread throughout the year. Find where to stay info at moscow.info. Stride is the main running retailer in Moscow. You can find locations throughout the city. Find upcoming Moscow races here.